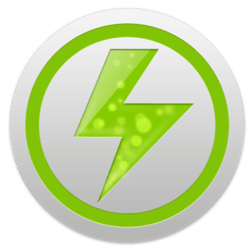 Laptop mode is a kernel “mode” that allows you to extend the battery life of your laptop. It does this by making disk write activity “bursty”, so that only reads of uncached data result in a disk spinup. It causes a significant improvement in battery life (for usage patterns that allow it). Laptop Mode Tools is the primary way to enable the Laptop Mode feature of the Linux kernel, which lets your hard drive spin down. 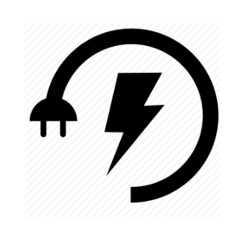 In addition, it allows you to tweak a number of other power-related settings using a simple configuration file. 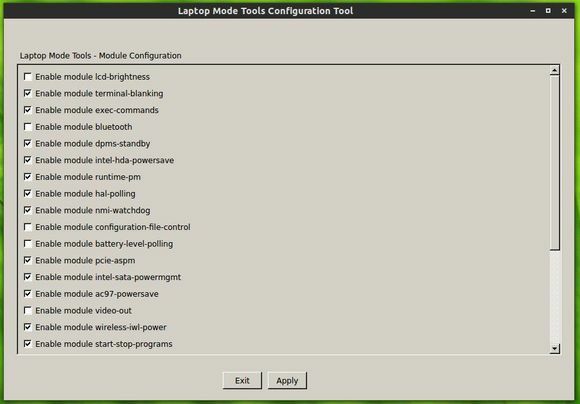 Laptop Mode Tools was a command line only tool until version 1.64, which introduces a GUI that lets you toggle individual power saving modules. At the moment the version 1.64 is only available in the Ubuntu 14.04 repository. For Ubuntu 13.10, Ubuntu 12.10, Ubuntu 13.04 and Ubuntu 12.04, you can install it from the Webupd8 PPA. NOTE: Laptop Mode Tools is in conflict with TLP. Don’t use them in the same time! 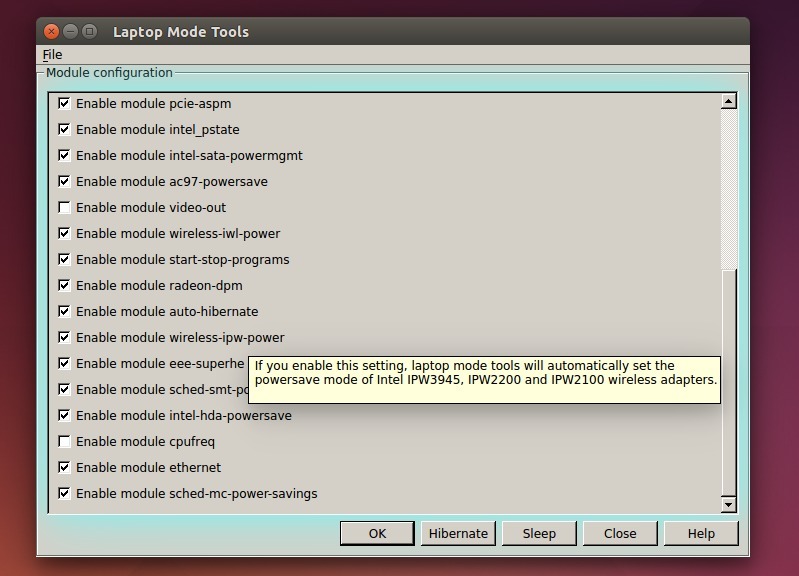 For Ubuntu 14.04, search for and install laptop-mode-tools from Ubuntu Software Center. If you don’t like the PPAs, you can manually download the deb from HERE. You can also find the configuration files in /etc/laptop-mode.